Celia Wird and her sisters are cursed. 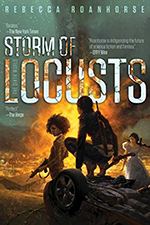 Celia’s got the ability to change into a tiger, Taran blows stuff up, Shayna can turn pretty much anything into a pointy-ended weapon, and sweet little Emme can not only heal people, but she’s telekinetic. Having spent their entire lives hiding what they can do, they’re outed as they stand trial in vampire court, accused of blowing up a vampire. 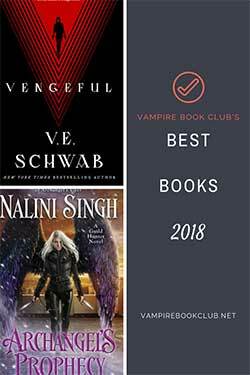 When the trial ends with the revelation that something much more dangerous is preying on the vampires of Tahoe, Celia and her sisters get drawn into the hunt, much to the chagrin of Aric, the Leader of the local wolf pack. Bloodlust is infecting the vamps of master Misha Aleksandr’s keep at an alarming rate, and soon spread beyond those he calls family. Celia’s spent most of her life protecting her sisters, and this makes her feel like she ought to help Misha solve this little problem. Celia comes off as a bit martyr-ish at times, but the girl’s got a sense of humor and she’s not about to let the bone-deep loneliness keep her from getting on with the business of living. Sure, she might not date (she’s convinced men don’t find her attractive), but she has her sisters. A job she enjoys. She’s used to men overlooking her. So if the sizzling attraction between her and Aric confuses her and scares her and has her running in the other direction on occasion, you can’t really blame her. I loved Aric’s wolf Warriors, particularly Koda. The big Native American brute is unafraid of battle and would gladly give his life for his leader, but when it comes to Shayna, he’s confused and a little vulnerable. He even lets her call him “puppy.” Yeah. Puppy. I had to giggle at that. For a book that’s as long as it is, the pace was fairly tight. About a third of the way through the story there’s a major fight scene, and things take a detour into the ridiculous, which could have derailed the story. A few times Celia’s own inability to articulate what she’s thinking when it comes to Aric leads to quite a bit of angst, and the story slows down as a result. While Robson takes time to expand on the relationships between some of the Warriors and Celia’s sisters, one kind of falls by the wayside and isn’t fully explained, which drove me nuts. 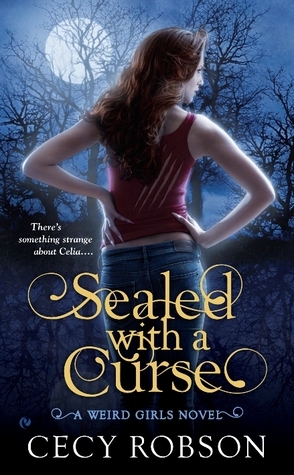 Sealed with a Curse is a solid start to a new series, one that makes me curious enough to want to what other kinds of trouble Celia and her sisters can get into.